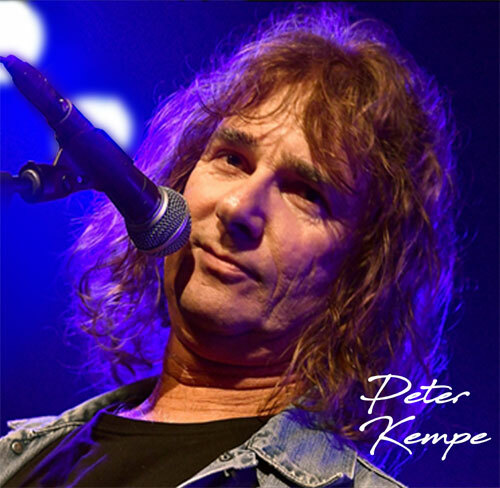 Drums and lead vocals (Peter Kempe), Guitar (Michel Staat) , Bass (Derk Korpershoek) and the screaming sound from the bluesharp (Sonnyboy vd Broek) That is already for 35 years the foundation of the Dutch bluesband the Juke Joints. 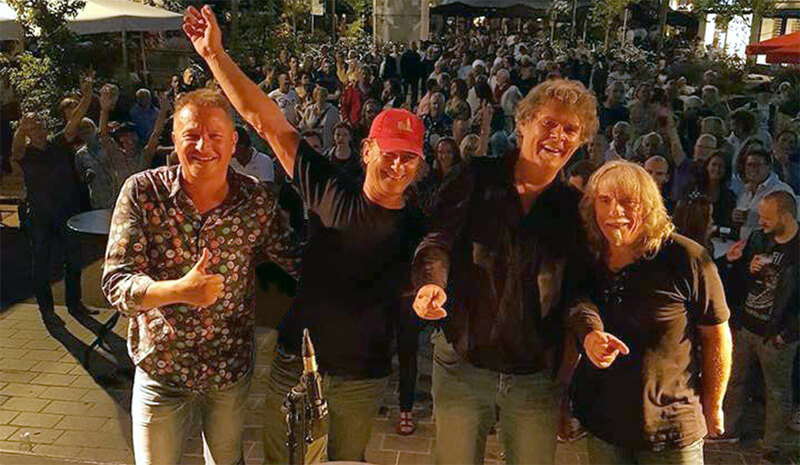 In 2012 and 2016 the band received the Dutch Blues Foundation Award for ‘Best Dutch Blues Band’. 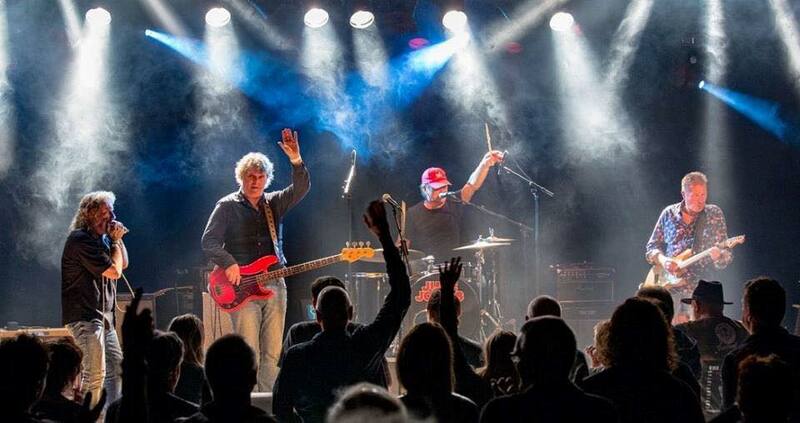 After 35 years the boys are still on the road every weekend in Holland or abroad. 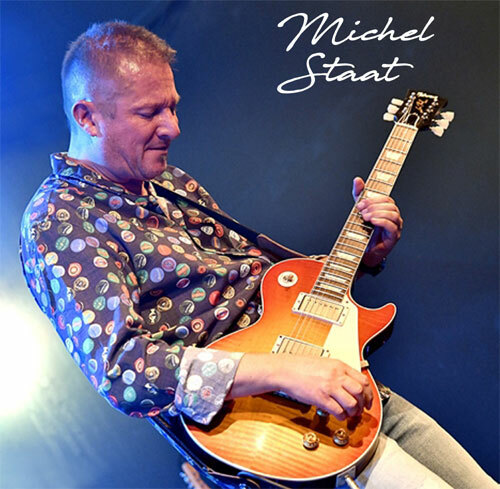 So it was time for a big party on November 11 2017 at the legendary stage of De Piek in Vlissingen Holland, where audio and dvd recordings were made. 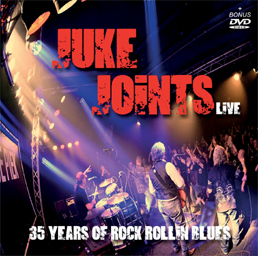 The 70 minute CD/DVD registration from this show is just released by Continental Record Services with the titel: Live – 35 Years Of Rock Rollin Blues. The Juke Joints is a addictive good and tight band with a great mix of rock ’n roll, blues, rockabilly and zydeco. The live album contains 13 tracks with 3 new songs (Hold On , Mercy Mercy and I Will Follow), a few traditionals and a fine selection of Juke Joints originals. ‘Live’ it shows a band in a great shape ! A impressive honor for their huge fanbase for the support in all those years. The DVD image quality is fantastic with long shots and lots of close’ups from the band, and the sound is off course from the same high quality as on the CD. The Juke Joints recorded a fine and grand concert. They hypnotize their fans with sweaty blues rock. 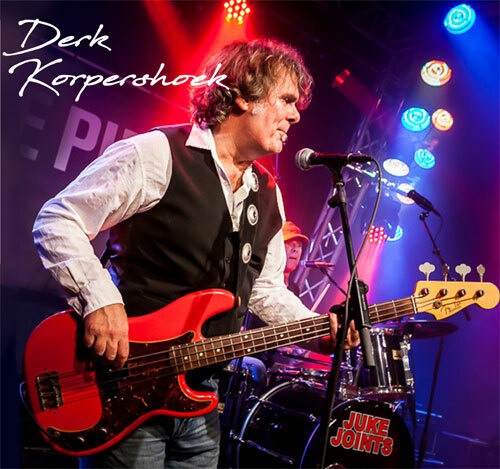 Dutch blues-rockers and winners of the 2012 and 2016 Dutch Blues Foundation Award for "Best Dutch Blues Band", The Juke Joints have been setting fire to international stages for not less than 35 ! years. The band celebrates their 35th anniversary in 2018 with a new live CD/DVD package that will give 13 tracks of a steamy live show ! The 2015 "Heart on Fire" CD (Continental Records) contains 10 infectious Juke Joints originals, and the Dr. Ross classic "Cat's Squirrel" and the song "Funny Little Valentine" , written by Australian rockabilly singer/guitarist Louis King, received the passionate, greasy Juke Joints treatment and seamlessly fit in the coherence of that album. On this 9th studio album, follow-up for the "Going to Chicago" CD which the band recorded in Chicago with producer Ronnie Baker Brooks together with guests Eddy "The Chief" Clearwater and Ana Popovic), the Juke Joints have like never before succeeded in translating the steamingly hot energy of their live shows into a brilliant studio sound. 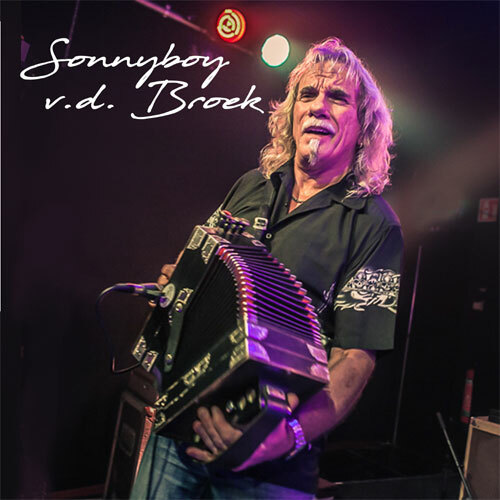 The in April 2017 released CD "Crossroads un&plugged" was live recorded for the Dutch BRTO Radio and contains Juke Joints originals and classics from BB King, Leadbelly, Big Bill Broonzy, Son House.